I've always wanted beautiful defined cheekbones. I have quite a long face and my cheekbones sit quite high, so sometimes when I look at photographs of myself they look quite prominent (depending on angles and poses that I pull!) . But generally, especially when I have put a little bit of weight on, I feel like my face doesn't have much definition. When I saw the amazing recent photo's of Jada Pinkett-Smith for The Edit magazine, her sculpted defined cheek and jaw line really struck out to me (below). Doesn't she look amazing, not to mention her to die for figure! Although I think most of her defined look is more down to good genes than makeup, the pictures inspired me to try the contouring look for myself. 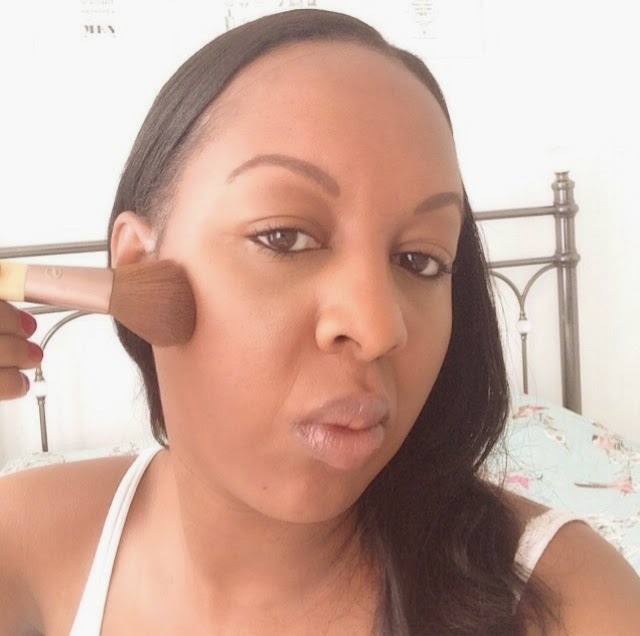 As a newbie to the face contouring world, I didn't really want to spend lots of money on my first kit as there are so many out there from the big luxury beauty brands like MAC, Bobbi Brown etc. I've seen this one from Sleek (above and below) many times before but was a bit hesitant about it because I've heard to get the look right, contouring requires lots (and lots) of blending. As I am so impatient at times when it comes to applying make-up, I didn't want to buy something that would mean I would have to spend ages to get right - Like most people, I just haven't got the time in the mornings to 'faff' around! 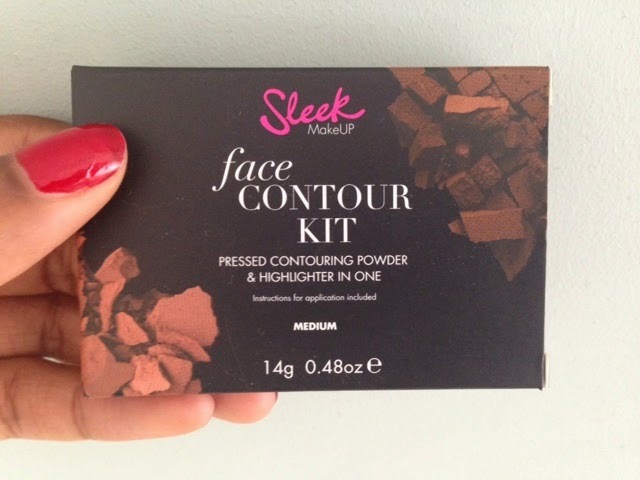 However, at only £6.99 from my local Boot's, the Face Contouring Kit from Sleek is extremely reasonable. It comes in 3 shades: Light, Medium and Dark. I chose the medium kit for my skin tone and I am very happy with this product. I haven't stopped using it! The kit contains a really lovely to apply, silky matte contouring powder and also a shimmery golden toned, illuminating highlighter powder. It has a lovely finish and yes, you do need to keep blending to get the right look, however, this is a lovely subtle kit that does not give you an over the top sculptured look. 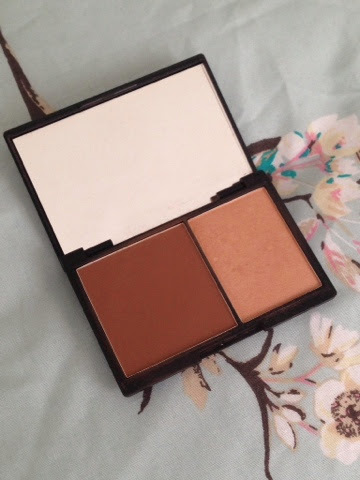 I'd quite like to describe it as a contouring kit for beginners, although I do believe a fair amount of make-up artists use this Sleek kit too. It also comes with a handy pictorial diagram inside that shows you how to create definition around your nose, jaw line and cheekbones - brilliant! Can we just take a moment to appreciate those sculpted and defined arms too on Jada Pinkett-Smith (above). Although, I think to get that look, I need to hot-foot it down to the gym!! Do you use face contour kits? What is your favourite?